Texas leads the nation with the most jihadi attacks since 9/11/01 with nine (9). 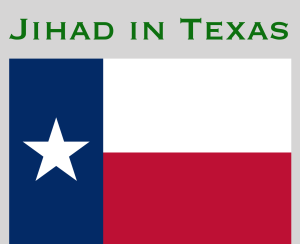 Texas also has a massive jihadi infrastructure to support and prepare for future attacks. Evidence from the largest terrorism financing trial ever successfully prosecuted in U.S. history – US v Holy Land Foundation for Relief and Development (HLF), Northern District of Texas (Dallas) in 2008 – reveals there is a massive network of Islamic organizations around the United States, and specifically in Texas, supporting terrorist operations. These organizations are primarily led by the U.S. Muslim Brotherhood, which should be designated a terrorist organization. The Holy Land Foundation (HLF), located in Richardson, Texas, was convicted of providing over $12 million dollars to the terrorist group Hamas overseas, and at the time it was indicted in 2001 HLF was the largest Islamic charity in America. This is not surprising since Dallas, Texas is the #2 hub for Hamas operations in the United States, second only to Chicago, Illinois. The Islamic jihadi Major Nidal Malik Hasan killed 14 people and wounded 32 others at Fort Hood, Texas in November 2009 after recently arriving (July 2009) from working at Walter Reed Medical Center (Washington, DC) where he attended the Muslim Brotherhood’s Dar al Hijra Islamic Center in Falls Church, Virginia, and was under the tutelage of Al Qaeda leader Anwar al Awlaki. 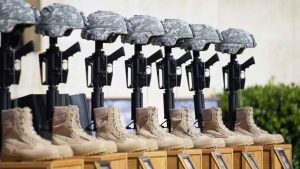 The attack on a free speech event in Garland, Texas on May 3, 2015 was launched by two Islamic jihadis out of the Muslim Brotherhood’s Islamic Community Center of Phoenix who were killed by an alert and skilled police officer. This terrorist support network is significant across Texas. 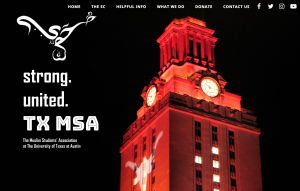 There are Muslim Students Associations (MSA) on every major college and university campus in Texas recruiting terrorists and providing mis-information to students about Islam. As a point of reference, Abdurahman Alamoudi, the former National MSA President, was an Al Qaeda financier who is now in federal prison. The Muslim Brotherhood’s Islamic Society of North America (ISNA) has 20 subsidiary Islamic Societies across Texas, and the Muslim Brotherhood’s bank, the North American Islamic Trust (NAIT), owns properties all across Texas. Both ISNA and NAIT were identified by the U.S. government in the US v HLF trial as being Muslim Brotherhood organizations who directly funded the designated Foreign Terrorist Organization Hamas. Research conducted by UTT reveals the teachings at the mosques/Islamic centers in the major cities in Texas are in line with the teachings of Al Qaeda and the Islamic State. They call for war to be waged by muslims against the non-muslim population to overthrow of the U.S. government and establish an Islamic State (caliphate) under sharia (Islamic Law). Materials supporting this revolutionary and seditious ideology has also been discovered by UTT in the muslim prayer room at the Taylor Chapel at Goodfellow Air Force base in San Angelo, Texas. To top it all off, Hamas doing business as the Council on American Islamic Relations (CAIR) – widely defended and supported by nearly every media outlet in Texas especially in the DFW and Austin areas – hosts “Muslim Day” at the Texas State Capital each year despite the fact they operate as a cover for a designated Foreign Terrorist Organization. See CAIR is Hamas here. Texas has seen more jihadi attacks than any other state in America. The largest terrorism financing trial in U.S. history was adjudicated in Dallas, Texas because the largest Islamic charity (a terrorist front organization for Hamas) was in Richardson, Texas – a suburb of Dallas-Fort Worth. Dallas, Texas is the second largest center for activity for the terrorist group Hamas in the United States. It is time for the citizens of the great Republic of Texas to boldly speak truth about this massive and growing threat and join Understanding the Threat (UTT) in our work to take back Texas from this cancerous scourge in our communities. Then why are they still here. Why have they not been removed. To “remove” them requires leaders, police, and others to actually know and understand the threat, which they do not. Thanks to UTT for yet another crucial national security war* advisory yesterday, which by any measure of loyalty & love of country should not only have been emblazoned across the front pages of America’s newspapers today, but on the desk of the President of the United States this morning as well. But instead, by virtue of what now passes for “news”, a significant measure of airtime was allotted to Joe Biden’s anticipated 2020 run for the White House; I.e., the same reckless ever giggling Joe Biden who on 03 May 2011 publically revealed top-secret conformational data that it had been members of Special Forces SEAL TEAM 6 who had killed Osama bin Laden; I.e., an effective betrayal which on 06 August 2011, only 3 months later, resulted in the murders of not only 6 of said SEALS, but of 24 other U.S. service members as well, when the relic Chinook helicopter which they had been “SUSPICIOUSLY & RECKLESSLY” assigned to travel in, was shot down in Afghanistan by sharia-adherent killers. *Anyone wishing to consider UTT’s foregoing comprehensive report on Texas, by juxtaposing an Arabic-to-English translated verbatim copy of Islam’s actual 9/11 declaration of war on Western Civilization, which was seized by special agents of the FBI in accordance with a federal search warrant from a subterranean basement in Annandale, Virginia, in 2004, may order a personal copy of the original (for a nominal handling & postage fee) by contacting http://www.securefreedom.org to request: GOVERNMENT EXHIBIT 003-0085 3:04-CR-240-G U.S. v. HLF, et al. Thank you. Being in Austin I am seeing it explode. We are surrounded. I am selling one of my homes that I rent because of what I am seeing. The violence in Austin is ridiculous. And the Panthers follow Sarsour and come with her when she is here. Islamophobia panels at SXSW which I have written on. I am doing what I can. People are waking up but too slowly. Wow. Texas is a conservative state, too. But the cities – Dallas, Austin, San Antonio, Houston – are controlled by Marxists. I wish to send you a very important suggestion by email, could you please send me your email id please ? Is anyone conveying this to President Trump; possibly the only world leader with sufficient courage to speak the truth? Not that UTT is aware of.